Support customers discover your beauty services and book an appointment easily. 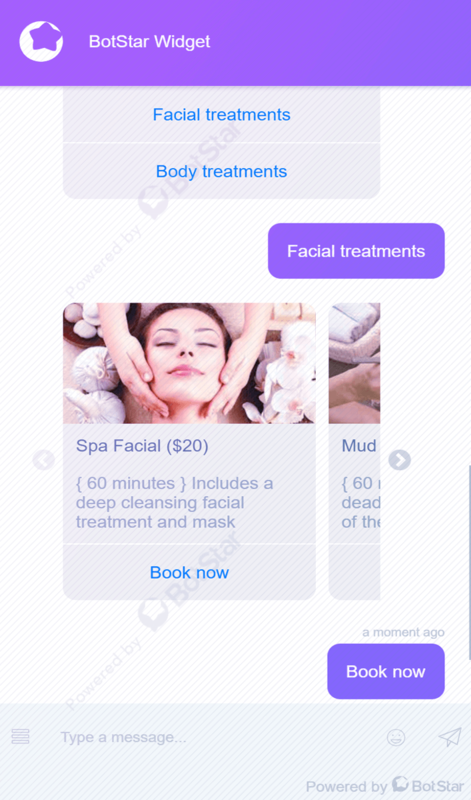 This chatbot template for beauty salons will support customers to connect with the experts, book beauty services online, receive beauty tips and discover reviews of other customers. 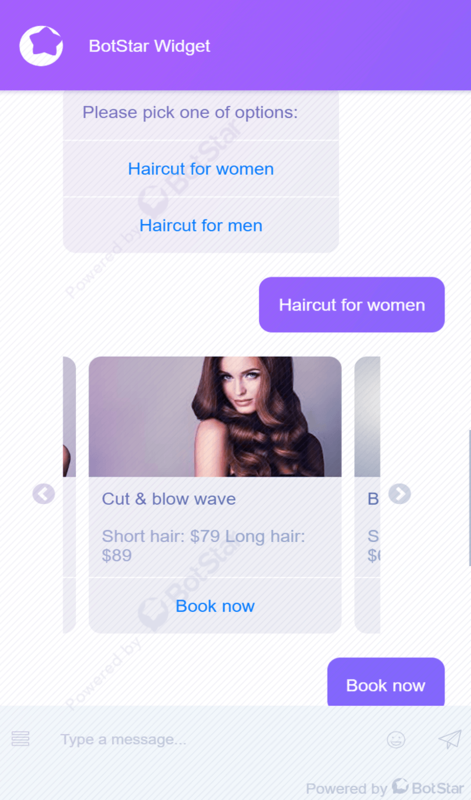 Beauty Salons Chatbot is available 24/7, even when a receptionist can’t pick up the phone to answer questions. 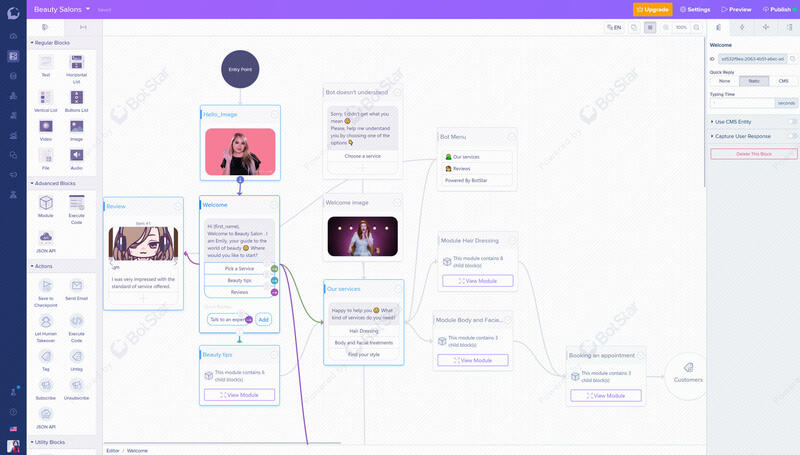 If an individual’s enquiry cannot be answered by the chatbot, you and your team can respond in due time by using Human Takeover.